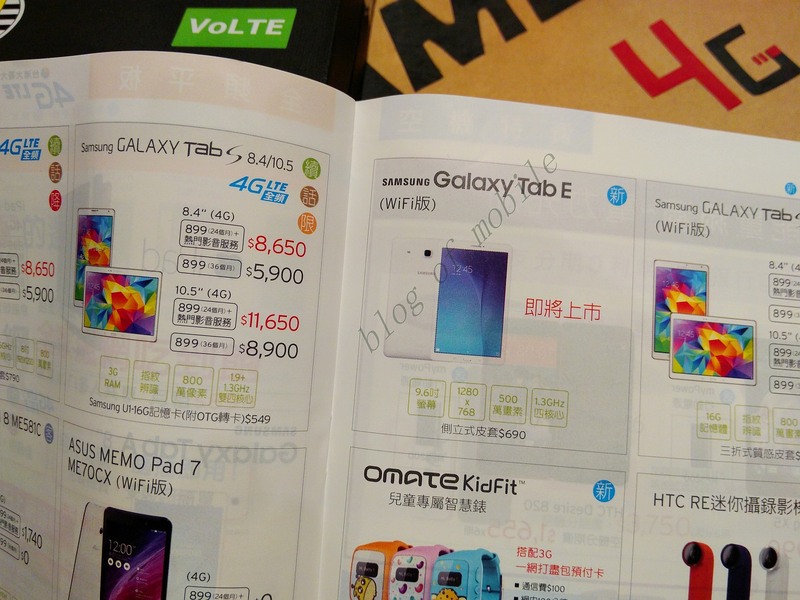 The Samsung Galaxy Tab E has just been revealed by a Taiwanese carrier showing us that Samsung is working on a new budget tablet. There’s not much in the specs department here as the tablet is revealed to be packing a 9.6 inch 720p display panel accompanied by a 5-megapixel rear camera and a 1.3 GHz quad core SoC. The model shown in the listing here seems to be WiFi only, but it’s likely that Samsung will have cellular models on offer too. Don’t get your hopes up just yet as this could very well be an exclusive to the Asian markets. The revelation was made by the carrier’s June product listing catalog, with no word on the pricing as of yet as this is an unannounced product. Perhaps we’ll hear more about the Galaxy Tab E when the company makes it officially available later this month. We don’t see the tablet costing more than $150 when it hits the markets later this month. Would you be interested in a budget device of this caliber?